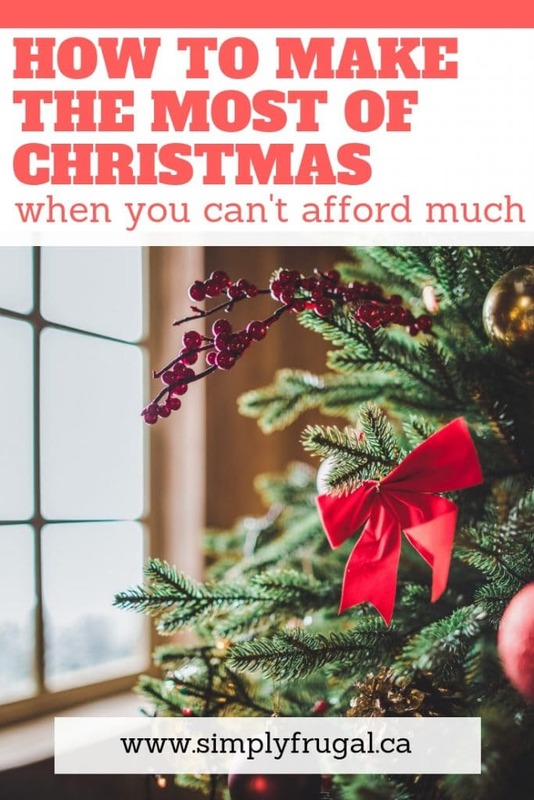 When you can’t afford much for Christmas it is easy to feel down and let it get in the way of having a great holiday with your family. This year, if you find that you just don’t have the money in your budget to do everything you wish you could, take time to appreciate what you do have and make the most of Christmas anyway. The most important part of coping with a tight budget during the holidays is to really focus on the meaning of the holiday. Christmas is a time of celebration for all and a time to turn our focus from our busy lifestyles to our friends and family that mean so much to us. Focus more on how you are spending your time than how you are spending your money and find the joy in the little things. Find fun free things to do that will build lasting memories. Many libraries will offer great free Christmas story times, activities, and parties. The local schools will all have parents going on that you can visit and support loved ones. Going and viewing Christmas light displays, singing carols, and building snowmen are all great ways to spend time together making Christmas memories without spending money. Save money and make your holiday decorations at home with salt dough ornaments, paper snowflakes, and fresh cut evergreen branches. This is a charming way to decorate for the holidays while building great family memories that will last a lifetime. Create family-centered traditions like watching Christmas Movies while sipping homemade cocoa or reading Christmas books before slipping off to bed on a cold winter night. Your traditions can be anything you already have the supplies to make happen without spending any money. For children when unwrapping gifts is the most exciting part of the holiday try wrapping everything even the smallest stocking stuffer. This will draw out the fun part for children even when you don&#39;t have a lot under the tree. Turn your focus on helping others. So often it is hard to see past our own struggles and misfortunes. By taking time to help others in some way you are helping your family learn to look at your holidays with thankfulness for all the things you do have while helping make Christmas a little brighter for others at the same time. Even if volunteering with the needy at your local soup kitchen or food pantry is not an option you can perform random acts of kindness for others.